:D they are low res, coloured with simple shading, and totally cute! I'll be posting them all together in a big picture, but everyone will get their own file if they want to upload it! 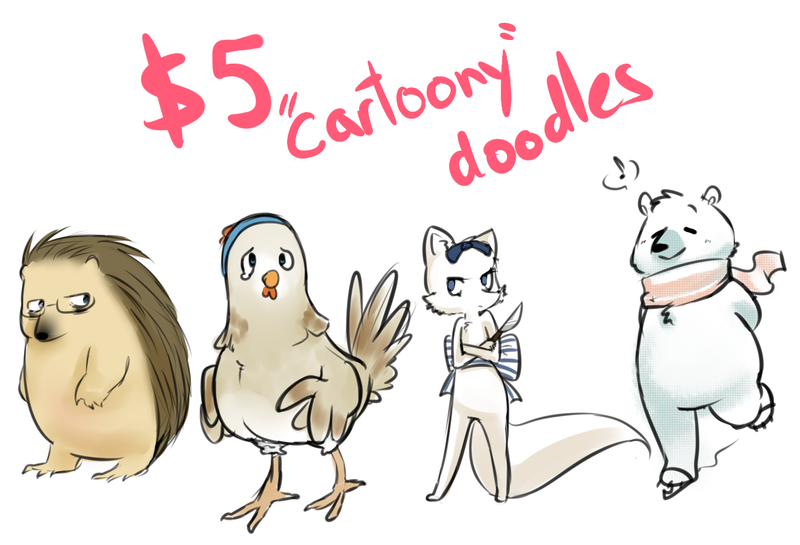 each additional character in the same drawing is $3! All of these seem like they would have made for interesting characters.. maybe like an overworked cynical hedgehog, the emotional yet fitness-oriented chicken, the fox who's had it with her mate's bs, and the jovial bear who spends his Saturdays ice-skating. Heck, wouldn't mind having them as AC neighbors ^^; . Except maybe the one with the knife. I don't think I'd ask her to stay o_o . ahaha these were actually animal version of some Hetalia characters!